Is your dress shirt brand working hard to earn your business, or taking you for granted? Most guys know only one brand that fits them well. When they decide it's time to buy, they're at the mercy of whatever that brand has to offer. They completely miss out on alternatives that look better, fit better, and deliver better value. Here's the good news: you're about to learn how to get some healthy competition going on in your wardrobe. When I ask men how they feel about shopping, over 80% say,"I hate it!" Their #1 complaint is the process of finding things that fit. They know that good fit is important: poor fit can be uncomfortable and makes a bad impression as well. While they prefer to shop online, they don't want to deal with returns so they end up shopping the old-fashioned way. Most men grit their teeth and waste hours traveling to brick & mortar stores to try things on. At this point, he was starting to lose patience and decided to declare victory. He bought a selection of Slim shirts, happy that one of them was on sale. He was glad to have that finished, but as he was walking by other stores on to way to the parking lot, he started to wonder, "Am I missing out on even better options?" He kept walking because he was too exhausted for another round of trial & error. The next time he's in the marketplace, he's likely to keep going back to the brand he knows. We just completed a survey of men working in Business Casual or Suit & Tie offices. We found that most guys just go "back to the well." 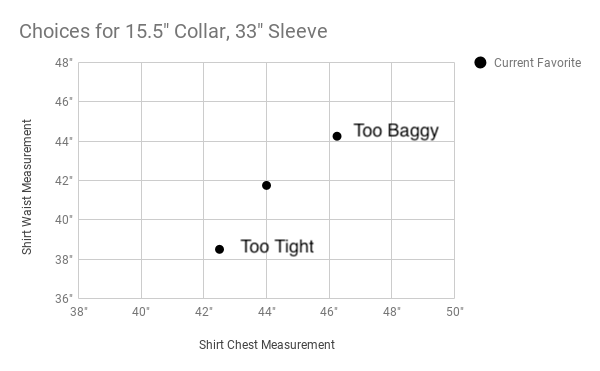 85% of guys can name only one dress shirt brand that fits them well; only 4% named three. When you only know one brand, you're at their mercy. Why not Waze for my wardrobe? There are at least 7 other options that are very close to the fit he already likes. Several of these brands offer better quality and charge lower prices than he paid. Unfortunately, Mike doesn't currently see any of these options. When I started commuting to the Harvard Launch Lab, I figured out the best route: take the Mass Pike. If I were driving 20 years ago, that would have been it, every day. In the 21st century, we can do better, with Machine Intelligence. I always use Waze, which monitors actual traffic and tells me the best route, every day. The Wardrobe Essentialist offers shoppers a faster, more thorough search process. In less than 60 seconds, you can answer a few questions to create a personal size profile. This starts an algorithmic search of over 80,000 items from 17 top brands, to find brands that will fit the way you want. We use the same principals a custom tailor would use: start with your measurements and deliver your desired fit. If you've got a ripped physique you want to show off, your tailor might add 3" of fabric to give you a bit of room for movement. If you value comfort over extra-trim styling, he might add 5". 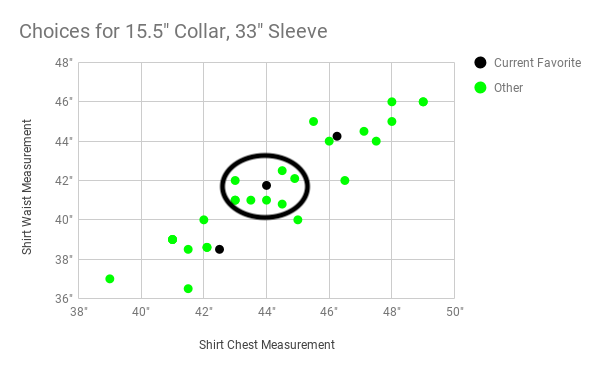 We use fit targets to search our database of hundreds of sizes, to find the best-fitting off-the-rack shirts available for you today. Once we find good candidates for you New Favorite Brand, we provided a detailed FitScore that tells you how each one measures up. Our average user sees 5-10 different brands that fit the way they want, so they have plenty of options. This puts you in a dramatically stronger bargaining position: more brands mean more opportunities to find great value. If you need learning your basic measurements to complete your profile, check out our Measurement Guide. My name is Mark, and I’m the Founder & CEO of The Wardrobe Essentialist. 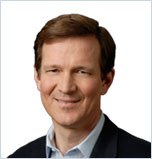 I've spent my career in business and business casual offices, initially at Bain & Co in Boston and San Francisco, and then as a Business Unit General Manager at global Fortune 500 companies.